Trying to decide on a party favor can be a difficult task. There are so many ideas for goody bag fillers but what are some good ideas that will be put to use? For a fun craft idea for your kids, you can work with them to create homemade party favors to give to the party guests. It’s a great way to get your kids involved in the party planning process. In addition to homemade party favors, your kids can also make homemade thank you cards to mail out after the party. Have you ever made homemade party favors? If so, what type of party favors did you make? 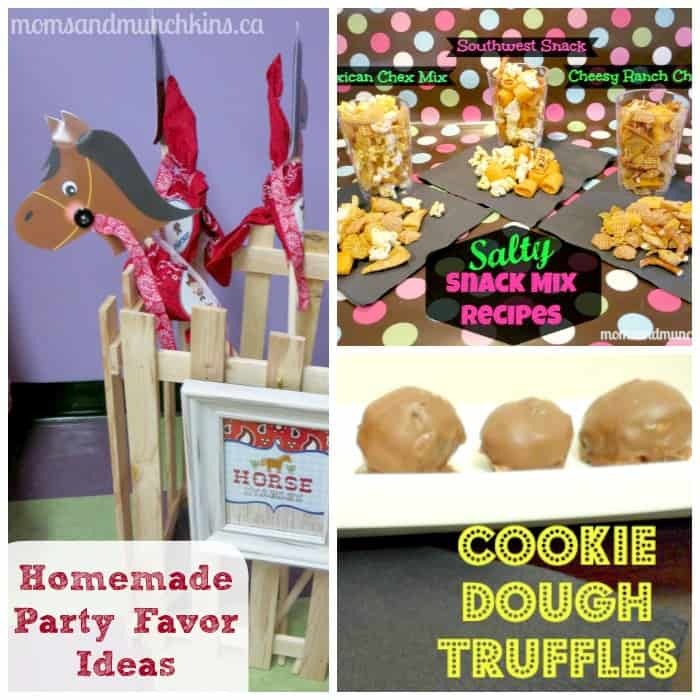 For more fun & creative party ideas, follow us on Facebook, Twitter, Pinterest and Bloglovin’. For more birthday party ideas, head over to our Birthday Party page. If you’re looking for adorable party supplies, check out one of my favorites – Birthday in a Box and save 10% off on all orders over $50 – Use code BDAY10 (a Moms & Munchkins affiliate code).